Egypt is a country full of mystery with its rich and ancient civilization. Egypt has been the point for centuries for merchants, travelers and conquerors, the Romans came to the land of Egypt for the beautiful Cleopatra and her gold, and the tourists from all over the world throng Egypt to view the last existing wonders of the ancient human race. Egypt is quite a large country, but by travel can be covered in only ten days. The political movement in Egypt has disturbed the country, but overall the country is quite safe, but a word of caution to the visitors to avoid the political demonstration. The Pyramid of situated in Giza is one of the Seven Wonders of the World, and has been a tourist spot for more than a thousand years. The pyramid is basically built as a tomb of the Pharaoh Khufu. The Pyramid is a 4500 years old monument, and the height of this monument is 480ft. In the Giza resting place, there are two more pyramids of Khafre and Menkaure, and the world famous the Great Sphinx, all these monuments are located in the desert on the outside of the city of Giza. Because of the town of Cairo, Giza now not much more than a suburb. Giza now reaches right up to a few meters from the Sphinx. You can take a camel ride to experience viewing the pyramids, and you can get camels from the tour operators in Giza, which are all tied to the posts, the camel ride more often than not take a diversion into the desert, bringing into view the pyramids across the sands, with Cairo in the background, is one of the most remarkable tourist attraction in the world of travel. Cairo which is the capital of Egypt is the biggest city in the whole of Africa. The other attractions are the Museum of Egyptian Antiquities. The main things to see are the gold mask of King Tutankhamun and the mummified body of Pharaoh Ramses III. The museum is situated on the Nile River. 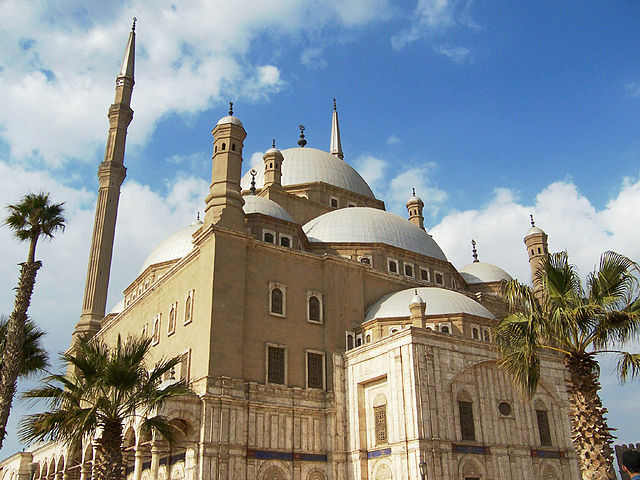 Another attraction is the Citadel of Cairo, built in the 12th century. It houses the mosque of Muhammad Ali, father of Modern Egypt. Hurghada is positioned on the coast of Egypt’s Red Sea; there are beautiful beaches, excellent weather, and world class scuba diving. There are a number of beach resorts the best being Oberoi Sahi, a 5 star comfort. You can take a cruise to the Giftun islands, with its superb beaches and coral reefs. Luxor was earlier the capital of Egypt, during that time it became famous for the world of luxury. Located in the midst of the city is the Luxor Temple, made of Sandstone, with huge columns and large statues is an imposing sight. The other temple is the Karnak temple; both the temples are open until late in the night. On the west banks of the Nile is the Valley of Kings, the burial grounds of mummified pharaohs. To end this trip is to take a cruise on the Nile River. Many luxury cruise boats sail the route between Luxor and Aswan daily. The voyage between Luxor to Aswan takes about three nights and four days. The ships and boats vary in luxury and price. Aswan is located 200 kms south of Luxor, is a very quiet town, and no tourists like Giza or Luxor. You can relax here and remember the dreams of Egyptian royalty, as you sail on the gentle waters of the Nile.